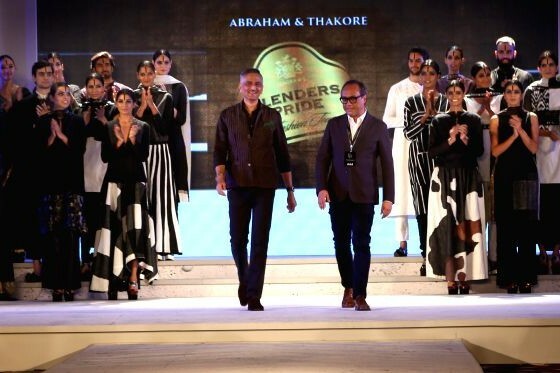 The voguish evening unveiled the rich collection of the ace fashion designer duo Abraham and Thakore that was absolutely exquisitely detailed and based on the theme “The Sustainability Project”. 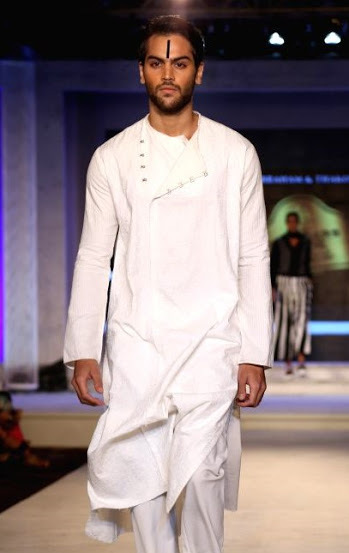 The collection’s key aspect was inspired by recycling and had distinct modern synergy between fashion and urban dresses and a unique contemporary twist on a characteristically Indian fabric. The models wore a black tika with a dark smokey eye make-up and showcased the designer duo’s collection mostly created by recycled borders, brocade, snaps, X rays and films. The traditional Kantha work done by either hand or machine was used in most of the creations. 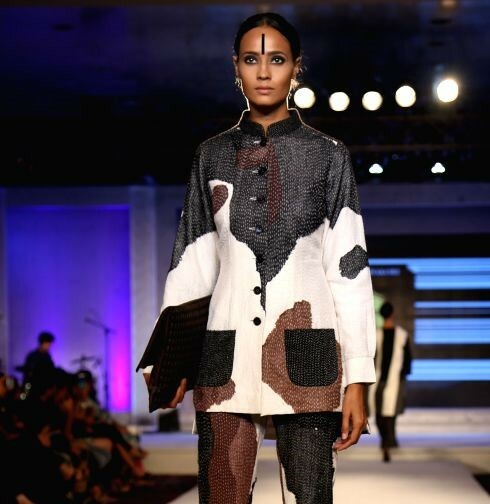 We have all known Abraham and Thakore for paying homage to traditional Indian fabric reinterpreting them into modern and contemporary vocab. And yes, they gave no surprises this time around as well. The band Madboy/Mink set a flavor of mid-tempo jazz to the event with electronica song “Fire in the street” and engaged the audience completely. Next in line was the 2014 Woolmark International Prize winner, fashion designer Rahul Mishra’s collection themed “The Village” featuring structured feminine silhouettes. The design experience narrated a story of balanced existence of mankind and nature and created a magical graphical sketchbook of images of villages. 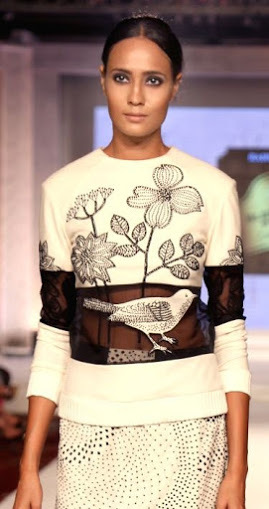 Rahul Mishra, known for his achievement in making off-white an Indian color showcased his collection that was detailed yet simple exhibiting intricate craftsmanship. Beautiful floral and bird motifs embroidered on the fabrics created a soothing sober line. Bollywood actress, Neha Dhupia dressed in ebony black and ivory white long blazer with intricate and extensive embroidery walked the ramp in this edgy design by designer Rahul Mishra, and stole the show. The actress looked gorgeous and stunning. A classy, modern and chic event came to an end in the most stylish and fashionably elegant way!